I know exactly where this tree is in Prospect Park. If asked, I will say it’s 64 steps from the tunnel. This tree is a black tupelo or a black gum tree. Nyssa sylvatica, commonly known as black tupelo or black gum, is a medium-sized deciduous tree. It is native to eastern North America, from New England and southern Ontario south to central Florida and eastern Texas. 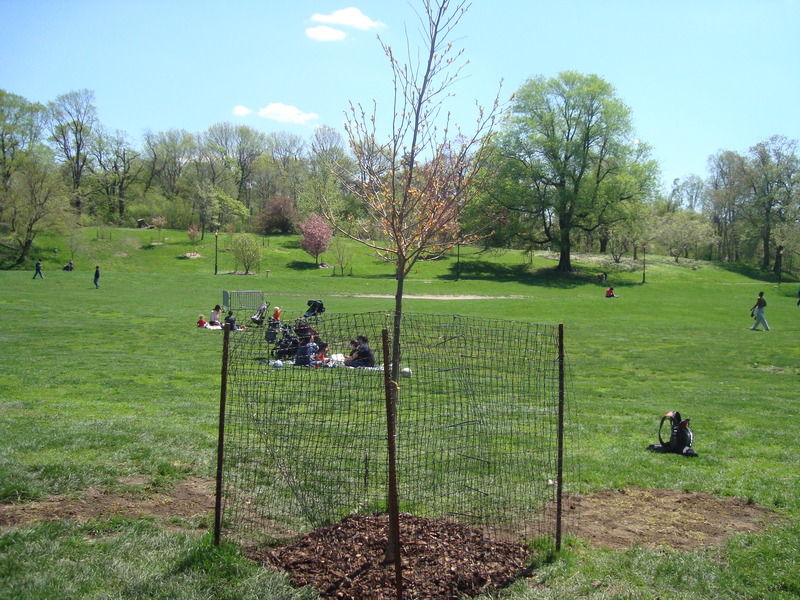 This tree was planted in honor and in memory of my mama on Arbor Day, April 29th 2011. It was a moving and touching ceremony that I attended with my sister. We watched as each person shoveled some dirt onto the roots of the tree. When it was our turn, we each shoveled separately and then we grasped that heavy shovel and sprinkled dirt on the roots, together. My mama would love this. She loved nature. She loved looking at trees and grass and flowers. She loved seeing my sister and I, friends. She now lives in this tree that is 64 steps from the tunnel. 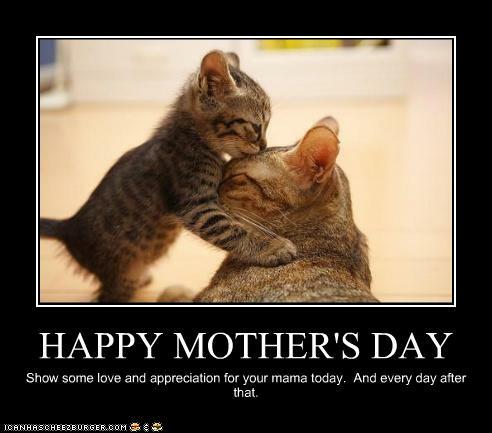 Sunday, is Mother’s Day. I’ve been thinking a lot about this day and what it means to people. What it means to me. I won’t get all cliche and say that every day is Mother’s Day. That goes without saying. If I think back, my mama was there for me every single day she was alive. Even when she was sick. She was there. She was a fantastic presence in my life. She had a sense of humor like no other. She was good people. I miss her with all my heart. I think about her every day. On Friday nights, when I am home, I light her Shabbat candles. I say the prayer and then I talk to her. I tell her what’s been going on. I ask her how she is doing. I may tell her a funny story or two. Then, I shut down my computer for a while and just reflect a bit. I look forward to this time. It calms me and makes me realize my mama is still with me. Maybe not physically, but always in my heart. I ran 10 miles today. It wasn’t very pretty but I got it done. All running, no walking. It’s taking me a very long time to come back to running. To where I used to be. I wonder ~ if I will ever be the runner I once was. When my mama was here and I was able to tell her all about it. I wonder if I will love my running again the way I used to. Sometimes, I wish I wasn’t so emotional. So sensitive. Sometimes, I wish I could shrug things off my shoulders and not care so much. Sometimes, my vulnerability makes me feel weak. Sometimes, I don’t like to cry in front of people. That shows weakness, doesn’t it? My mama cried. Not a lot, but she was emotional. She was sensitive. I am just like her. She did make me into a very caring individual. I can’t shrug things off my shoulders and walk away. So, my 10 miler today came at a very good time. Right before Mother’s Day. I ran 10 miles for myself first. Then, for my mama. I told her this after I lit the Shabbat candles tonight and if only for a moment, those candles flickered happily. I smiled. It’s almost 3 months since my mama passed away. I wonder where she is? I wonder……too much maybe. I don’t think much about my future running plans. I did sign up for some races and I am really looking forward to them. Brooklyn Half is in 2 weeks. I even signed up for Queens Half. July 30th. Yikes. What was I thinking. HOT HOT HOT. Where I work, at Paragon Sports, I get reimbursed for all races I sign up for and complete. Pretty cool right? I have so much to be thankful for and I am. If you can, call your mom and wish her Happy Mother’s Day. I can’t this year. Wow, Michelle. What a wonderful post; this made me tear up! I called my mom today and we spoke for the last 3 miles of my run. We run together sometimes when I’m home, but since that’s only a few times a year, I love to have her as my virtual running buddy by talking with her while I’m running even if she can’t be next to me. Where are my tissues? A wonderful and beautiful tribute to your special mama. Love that a tree was planted in her honor. She’s proud of you and I believe with you always. Nothing wrong with being sensitive either – it means you love and miss her so much. Take care Michelle – thinking of you and your sister and your mama too. Great post Michelle, and such a great way to honor your mom. Michelle, this is a very moving post… I can’t imagine what it’s like to be going through your first Mother’s Day without your mother. It’s great that you planted a tree in her honor, something that will live on for many years and that you can always visit. you can and you will still tell her all about your running. You don’t have to wait to see her, you can tell her as you run because she will be with you every minute, every day. Wonderful post Michelle. She is with you.